Chapel Street is located off Main Street (Route 39) in the Village of Springville. Wheelchair accessible. Parking lot available. Meet an Erie County Department of Social Services Intern at the Hulbert Library to receive assistance with applying for help with food, help with heating bills, SNAP, WIC, finding legal assistance, home weatherization, finding health clinics, and other social services programs. A representative will be at the Library on Thursdays, from 10 a.m. to 6 p.m. 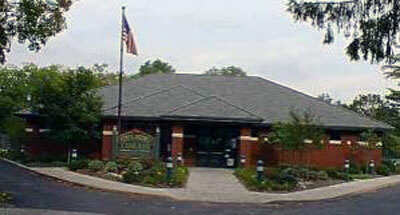 The Hulbert Library of the Town of Concord was built in 1994 and is located in beautiful downtown Springville and faces historic Fiddlers Green Park. Chapel Street is located off Main Street (Route 39) in the Village of Springville. Wheelchair accessible. Parking lot available. There are 8 public computers and 6 public laptops with free Internet Access and Microsoft Office, Internet Explorer, Ancestry.com and numerous databases. Printing is available at $.10/page for black and white and $.25/page for color copiers. There are also 3 children's computers available and 2 scanners. Free Wi-Fi is available throughout the library. Our meeting room as well as our display case are available for non-profit, public use. Please give us a call for more information. Meeting room capacity is 35. There are numerous free programs available with new offerings every month. Check out our Facebook page under "Concord Public Library"